Large Popcorn, No Butter: BIG LEAGUE BLOGATHON: Damn Yankees! 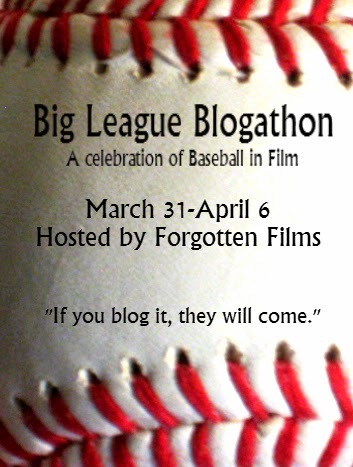 BIG LEAGUE BLOGATHON: Damn Yankees! As part of my good ole buddy Forgotten Films's Big League Blogathon, I bring to you this review of Damn Yankees! So, as a preface, I should mention that that I was a part of this musical in high school, so I knew the story going in. But for the rest of you out there, Damn Yankees! is the story of Joe, an old guy who decides that he'll sell his soul for the chance to help the Washington Senators win the World Series. Great idea, right? Yeah... Maybe not. By the time the devil rethinks the terms of this deal, Joe is rethinking trading his old age for baseball skills and missing his wife dearly. If he can't win against the damn Yankees then he'll go to hell! It's always interesting to see movie adaptations of plays. You can usually tell; especially films made during this time period. Since a lot of movies in the 50's were made on sets anyway, the transition from play to movie back then could be a little smoother than today per se. That being said, I wasn't really expecting to be too blown away by this movie. Sometimes they just don't translate very well, and especially since this movie features the original cast, my hopes really weren't very high at all. But I was pleasantly surprised. 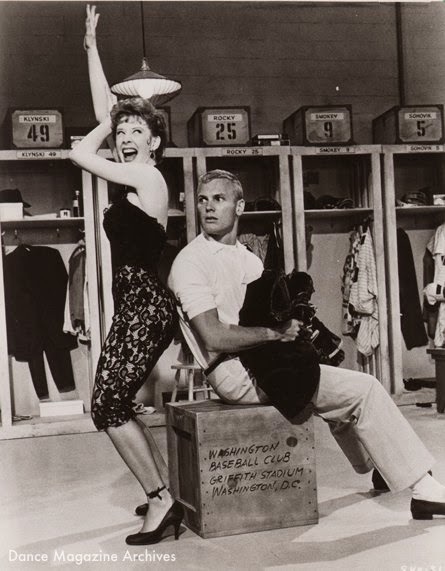 The songs are catchy, the characters are very well acted (especially the ADORABLE Tab Hunter as Young Joe), and the dance numbers (choreographed by Bob Fosse himself) are amazing. The plot is a little simple, and moves fast, but it's sewn up nicely at the end as well. A little dated for a sports movie. (I mean really what decade but the 50's would have a perfectly decent guy leave his wife for a shot at winning his favorite team's pennant, only to return to her since he's useless without her?) But Damn Yankees delivers a sweet little sugar-coated story about the value of human relationships, the priorities in life, and the game of baseball. Pretty cute. Excellent review! I agree wholeheartedly – this movie is a little dated, but still a whole lotta fun. It has a great cast, too.